All photos in the BoatBeat Image Library are free for use to promote boating and water safety. Browse the library, click on a photo to open a larger preview image, and right click to download. 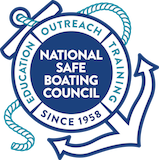 Photo Credit: National Safe Boating Council.